Telecom - Scott Land & Lease Ltd.
Western Canada’s leader in site acquisition and Municipal permitting for telecommunications. We have handled several of the largest Telecom rollouts in Western Canada. Our roots in Telecom go back to1986, with one of Alberta’s first fibre optic lines. Scott Telecom has done more telecommunication acquisitions than any other broker in Western Canada. 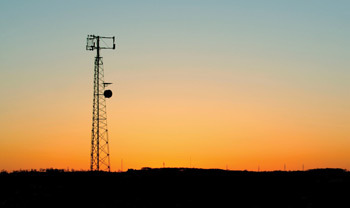 Scott Telecom provides a broad range of site acquisition and Municipal permitting services for wireless and wireline telecommunication network rollouts. Our project experience encompasses urban rooftops and towers, rural tower corridors, FTTP, fibre-optic rights-of-way and POP sites. We offer quality and value thanks to our experienced team, expertise and local market intelligence in Manitoba, Saskatchewan, Alberta and British Columbia. Stakeholder engagement is a critical component of land-related projects across many industries. Scott Land & Lease has in-depth experience in strategy development and government regulations, as well as strong stakeholder relationships that we will leverage to benefit your project. We are a member of IAP2. We can handle all aspects of stakeholder engagement activities and land acquisition, including organizing and attending high-profile open houses. We have one of the most respected teams dedicated to stakeholder engagement in the business. Your goals and expectations will be exceeded by our in-house team of professionals. By working with nearly all major carriers in every significant Western Canadian roll-out, we gained the experience, market knowledge and relationships that make us the leading Telecom site-acquisition firm in Western Canada. I can’t express enough the value this group of individuals is bringing to us… Throughout the last year you have consistently demonstrated a strong commitment to accountability, clear honest communication, and the importance to honouring timelines. I have 100% confidence that if I need something done that requires some critical / creative thinking, this is the team to get it done! This is service above and beyond, and it shows their commitment to quality, something that all too often falls by the wayside in business. You guys are fantastic, and thanks very much for all the help.